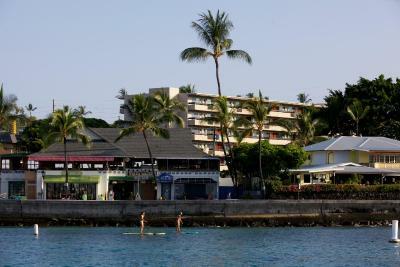 Lock in a great price for Kona Seaside Hotel – rated 8.1 by recent guests! The rooms were clean, location is awesome. The included breakfast was great although it would be even better if the options were a bit more flexible. Hospitality room after check in is invaluable. 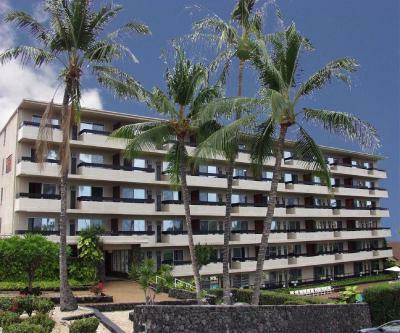 The only thing I liked about The Kona Seaside Hotel was leaving the property. The location was excellent they had a market with everybody's Wares going on and the location was perfect we could walk everywhere. I have stayed here many times....for a lot of years. This year, parking was a problem. One afternoon, I parked and could not get out of my car. I am a small person. I had to circle around and find another space. Close to town very clean friendly only thing is that I had to pay to park there. Great location, very helpful and friendly staff. But above all, it was sparkling clean every day. 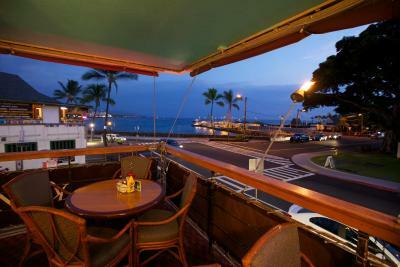 Close to the shore and all restaurants. Will definitely recommend. We needed a place to stay close to Kona airport for an early morning flight. This hotel was perfectly adequate, and very close. I wouldn't want to spend my whole trip here because I'd want something a little more upscale and quiet, but a night was just fine. The hotel staff was polite. it was expected to tip the room cleaners. Kona Seaside Hotel This rating is a reflection of how the property compares to the industry standard when it comes to price, facilities and services available. It's based on a self-evaluation by the property. Use this rating to help choose your stay! 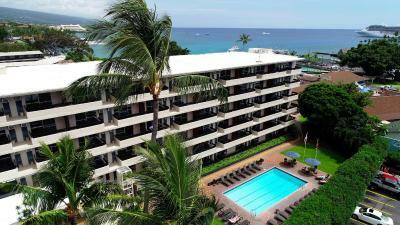 One of our top picks in Kailua-Kona.Overlooking the ocean and offering easy access to beautiful beaches and popular Kona, Hawaii attractions, Kona Seaside Hotel features comfortable accommodations. The rooms feature air conditioning, a flat screen TV, and a refrigerator. 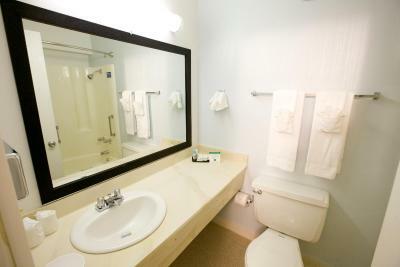 The private bathroom includes a hairdryer and ironing facilities. 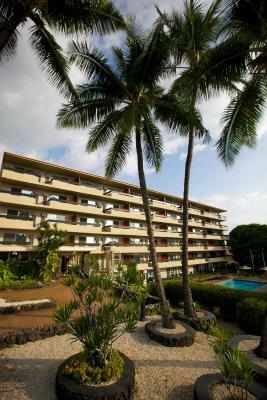 The Kona Seaside Hotel is conveniently located close to Kahaluu Beach Park and the Captain Cook Monument. Guests can also easily tour nearby coffee farms, shop at local boutiques or dine at delicious restaurants. 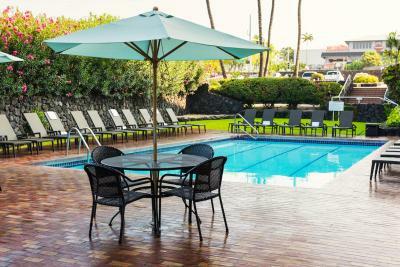 The Kona Seaside Hotel includes an outdoor swimming pool and on-site laundry facilities. 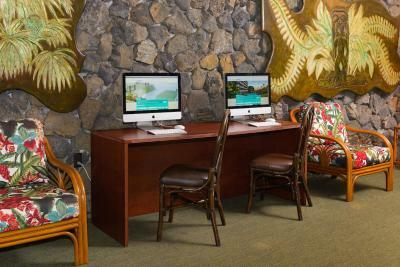 Free WiFi is available in the business center, along with free use of computer stations. 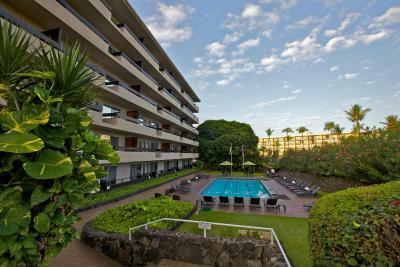 When would you like to stay at Kona Seaside Hotel? This room features 1 king or 2 double beds and is located near the pool. 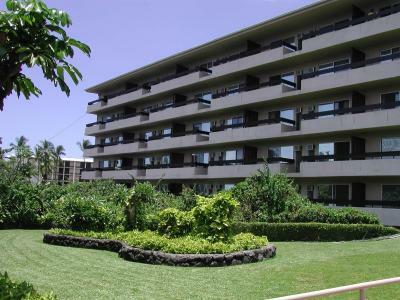 Amenities include air-conditioning, a refrigerator, a coffee machine, a flat-screen TV, and a private bathroom. Ironing facilities are included. Rates are based on 2 guests. Please refer to the policies for fees that will apply for additional guests. Rates are based on single/double occupancy and subject to an additional extra person charge of USD 20 per night for a third adult. 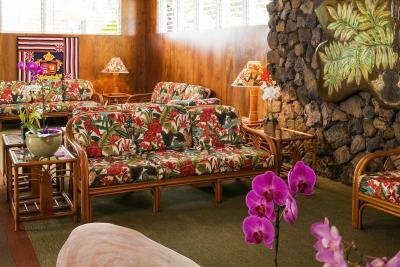 This room features 1 king or 2 double beds and is located in the garden area near the lobby. Amenities include air-conditioning, a refrigerator, a coffee machine, a flat-screen TV and a private bathroom. Ironing facilities are included. This room features 1 king or 2 double beds and partial ocean and/or mountain views. 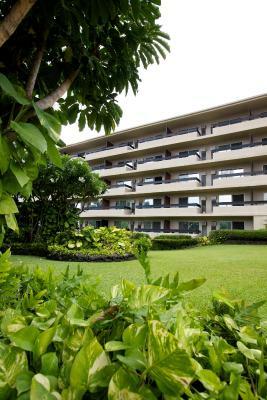 Amenities include air-conditioning, a refrigerator, a coffee machine, a flat-screen TV, and a private bathroom. Ironing facilities are included. 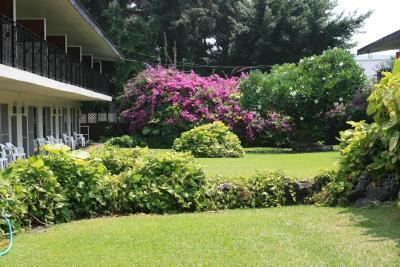 Hawaiian owned and operated, this family property is great for the traveler on a budget. 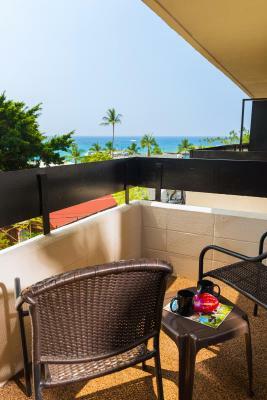 Each room offers a private lanai for sunrise or sunset viewing or you can venture to Splashers Restaurant just steps away to enjoy a hearty breakfast, or an afternoon brew. 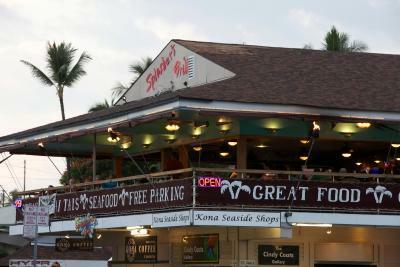 Perfectly located near the Kailua Pier, where world class fisherman come for Big time Marlin Fishing. 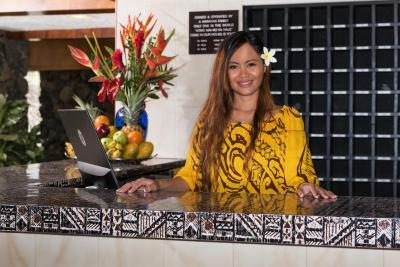 House Rules Kona Seaside Hotel takes special requests – add in the next step! 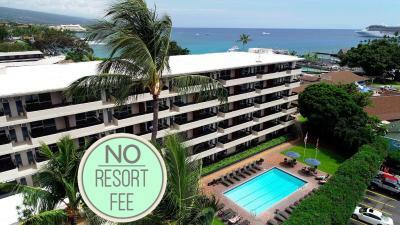 Kona Seaside Hotel accepts these cards and reserves the right to temporarily hold an amount prior to arrival. Guests must be a minimum of 21 years of age to check-in. Please note: Breakfast-included rates are for 2 (two) guests per room. Breakfast can be purchased for any additional guests, including children, at the hotel. Staff not so warm and welcoming. Pool is not great. Hallways smell funky. Beds and pillows were comfy enough. We had to pay $10 for parking on an already expensive hotel fee with taxes. The room was very dated. Would have liked to use the pool earlier in the day. very comfortable, but needs a thorough cleaning. Doors entering Rooms have a 2-3inch gap at the bottom so sound and many feet walking back and forth was a bit distracting. The towels are so small and thin that you have to roll all of them up together in order to cover the gap at the bottom of the front door. Walls are paper thin and far from soundproof but have a noticeably insane amount of coats of paint. Guests are not welcome in rooms without being carded at the front desk. the majority of parking is off property a few blocks away from the hotel. security is limited to one senior citizen who is more suspicious of the guests than the local Rif Raf it seems. The air conditioner is placed and blows directly on your face (fan flaps do nothing)when lying in bed but is much too hot to not have it continually running. Terrible old bath and showers in the tiny bathroom are next to an unplugged old mini fridge and coffee maker on a wire rack. 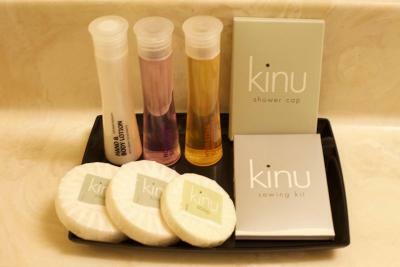 Not worth $40 let alone $180 per night. Be ready to be charged for parking even though your not on property and pray nothing happens to your vehicle cause it is clearly stated that they will not be liable for any loss or damage to your vehicle that you paid $12 per night for. 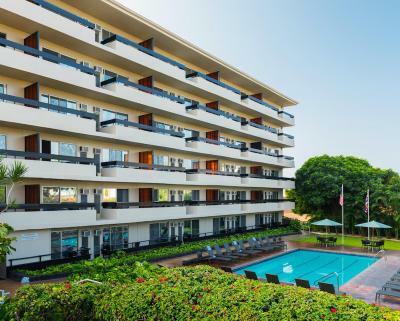 Location is an annoying corner with crosswalk beeping noise 24/7 with the view of King Kam Marriott on the other side blocking your ocean view and making you wish you have booked with them and their incredible ocean views, but what do I know? 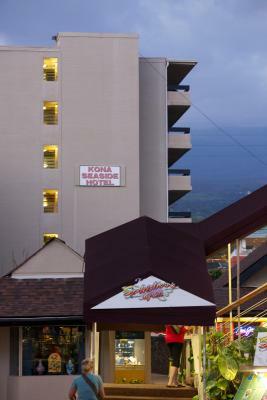 I only travel to Kona for work 10-15 days a month and had stayed here dozens of times before I realized what a rip off it is. Limited parking, but they made up for it. Proximity to town centre, spacious room. Very clean. Great location. Best staff ever.